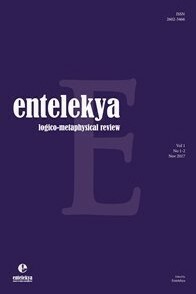 Entelekya Logico-Metaphysical Review is semiannual scholarly international peer-reviewed philosophy journal. Entelekya is the project under the name of ‘Entelekya School of Logico-Metaphysics’. It publishes the studies on the Classical Aristotelian philosophy including Logic, Metaphysics, Rational Psychology and Theology, and their transmissions into Arabic and Latin world; in addition, other classical, modern and contemporary logical, metaphysical and metaphilosophical researches related to the Aristotelian tradition.